In this way, AI is able to provide companies with a new competitive advantage: By learning about the likes, interests and preferences of customers at scale, AI allows companies to create unique product and service offerings and customizations that were never before possible. The travel and hospitality industries can especially benefit from such personalization and customization in a big way because it allows them to instantly target very niche and unique customer requirements by creating travel suggestions, trip add-ons, and amenities at the right price to the right customer at exactly the right time. The first step toward doing this is by improving conversions, attracting higher-quality targets, and streamlining the interface with which customers interact with your brand or business. As it happens, AI can be programmed to help with these critical pillars of digital marketing as well. Conversion rate optimization (CRO), search engine optimization (SEO) and user experience (UX) are three distinct yet interconnected facets of online marketing. SEO is the process – the art, if you will – of getting people to land on your web page, and CRO involves iteratively changing things on a website or other interface to increase the percentage of visitors who eventually convert into customers or take a specific action on a webpage. The thread that holds these components together is UX design: the perfect layout of buttons, images and text in order to enhance user satisfaction and improve the usability or pleasure derived from interacting with your online content. CRO, SEO, and UX design used to be a somewhat slow and iterative processes. In order to test which one of many possible versions of a certain website users liked best, the company or blogger would launch two or more versions at the same time and the version that generated the most positive responses was chosen as the official version of the page and was iteratively improved upon. The same applied to choosing SEO keywords and tweaking other aspects of web pages and visitor interactions in the pursuit of higher conversions. However, with the ability of AI to automatically track, analyze and learn from data on things such as where visitors come from (mobile devices, laptops, tablets), where they click and how much time they spend on a page, what kinds of content resonate positively with them and where user drop-off rates are highest, companies no longer have to manually sift through data to figure out what would work best with their customers because AI used in UX design can pinpoint exactly where your visitors become frustrated or drop off at or after certain steps. Furthermore, AI that is fed data on customer preferences or search terms can be used in CRO and SEO to target customers that better match a specific profile or who use specific keyword strings more frequently. 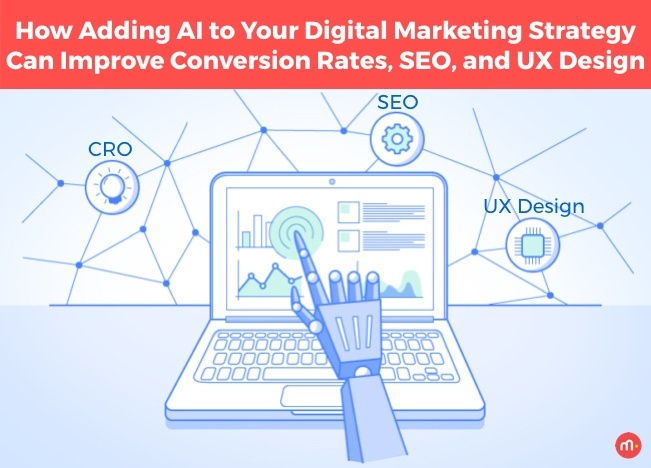 The net result is that AI allows companies, online marketers and designers to easily improve conversions and save time and money while giving them higher quality visitors, improved layouts and flow designs, and better keyword combinations. Increasing the velocity at which tests can be conducted. For example, AI can feed a slightly different version of a website to every single visitor. Monitoring customer behavior and recommending changes to make improvements. For example, AI can see that customers are abandoning their carts at a higher rate after viewing a specific item, and recommend that item be discounted. Personalizing experiences at scale. For example, AI can provide a chatbot that gives better, faster customer service while lowering a company's overhead. The uses of AI in the travel and hospitality industries extend beyond a website's CRO, SEO and UX. It can be used to create more engaging email headlines, gain a better understanding of the value of different leads, or test which products, word combinations, colors, layouts or other elements have an impact on consumer buying or spending behavior. It's no wonder, then, that the world is moving toward complete customization. Custom chatbots that run on popular social platforms and can answer basic questions, providing flight, cost and destination information and suggestions. Smart speakers such as Alexa or Google Home can perform the same functions as chatbots using only audio inputs. Price prediction programs can predict passenger demand for tickets, know how long ticket prices will remain the same, when they will change and what the highest and lowest costs are at specific times. Virtual ticketing booths with digital assistants connected with a video link for travelers to see and speak with an expert located in a call center are becoming more and more popular. Integrated cameras can be used for document validation and as a display for information such as maps and timetables. 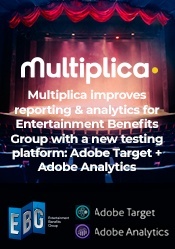 At Multiplica, we focus on travel, e-commerce and retail. We specialize in optimization, testing (A/B or multivariate), UX and analytics, using them to help businesses grow and succeed. We believe it is important to understand your business's entire digital ecosystem, where your users come from, how they get to your site, and how they experience the journey. If you are interested in a private consultation, email us today at optimization@multiplica.us to learn about how we can help improve your business's performance.